When it comes to talent, India stands first. The whole world looks at Indians for the right pool of talent, and time and again they have been proving it. The new entrant to the world of excellence is 21-year-old Sonal Baberwal from the Indian State of Maharashtra. 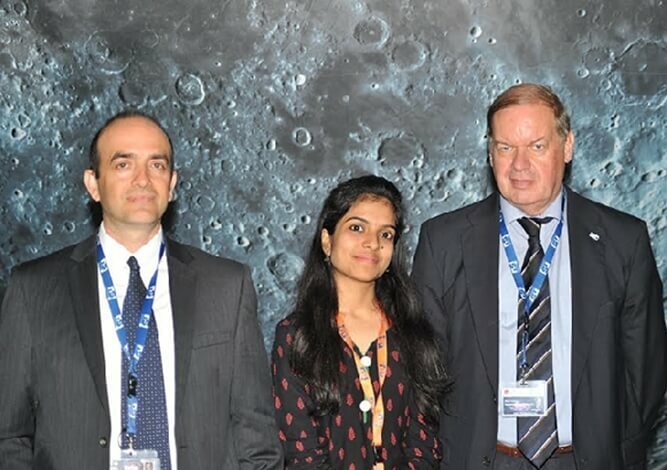 An engineering graduate in Electronics and Telecommunication from Sipna College of Engineering and Technology in Amravati, Sonal Baberwal became the first to have won the Kalpana Chawla Scholarship awarded by the International Space University (ISU). The International Space University is a pioneer in the field of space education and is the world’s premier educational institute. It is supported by major space agencies and aerospace organizations from around the world. They have been nurturing graduates from all over the globe for three decades and have graduated more than 4000 students over 100 countries. Founded in Massachusetts, USA, ISU is headquartered in Strasbourg, France. As part of their mission to bring out the best talent, ISU has started a scholarship program for bright and deserving graduates under the name of Indian American astronaut Dr. Kalpana Chawla, who lost her life in the Columbia Space Shuttle accident on February 1, 2003. As a token of love and respect to Kalpana Chawla, the panel at ISU has decided to assist three post-graduate students from India who share Kalpana Chawla’s vision of space technology and passion for excellence in science. The first Kalpana Chawla scholarship winner, Sonal Baberwal is a space science enthusiast. The First Kalpana Chawla Scholarship winner, Sonal Baberwal has been intelligent since her childhood. She has done her schooling in Mount Carmel High School and pursued her intermediate studies in Shri RLT College of Science. It is Sonal’s wide interest in an array of fields like Robotics, Pluto, environmental aspects, Space and art that got her in touch with NASA astronaut Nicole Stott and Leena Bokil. And then it was never looking back for this proud winner of the first Kalpana Chawla Scholarship award. India is eagerly waiting for the announcement of the other two students into the foray of space talent. Travel Beats is an Indian community portal by Indian Eagle, a leading international travel booking organization. We celebrate the achievements of young Indians across the world and publish the Indian Diaspora news besides sharing updates on air travel, India tourism, US visa and immigration.